It provides fresh skin in just a few minutes and Helps to refine the skin, Suitable for all skin types. 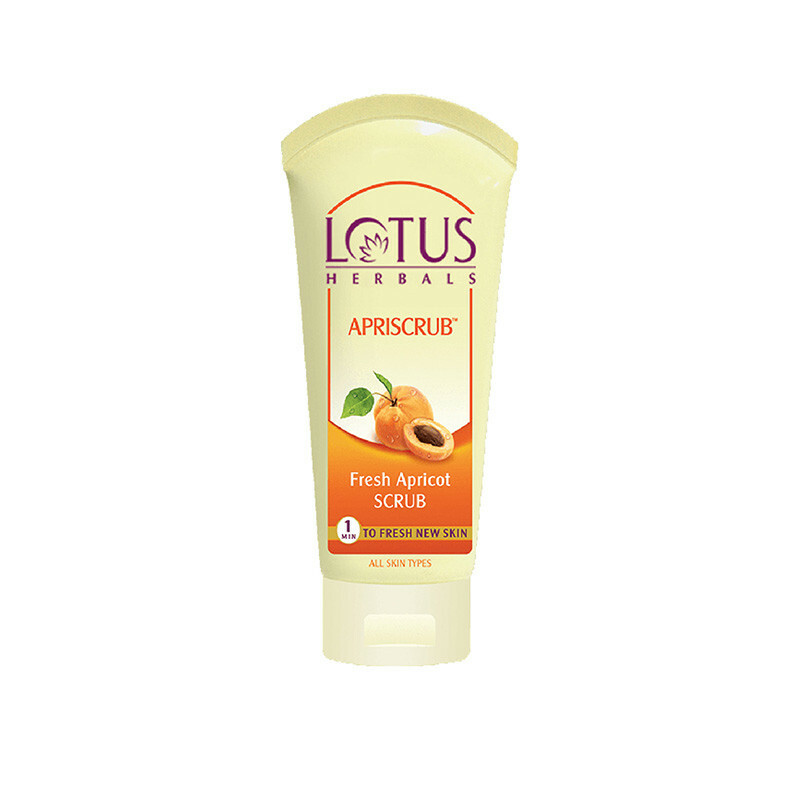 Lotus Herbals Apriscrub Fresh Apricot Scrub is an perfect scrub for all skin types. This is a unisex scrub and refines the skin efficiently. It is enriched with natural ingredients such as Walnut Shells, Cetyl Alcohol, Elder Flower extracts and Glycerin. It helps to remove the dead cells without affecting your skin.This scrub is effective to provide brighten skin by removing the blackheads from the skin. It cleanses the clogged pores in the skin and restores the moisture. This scrub comes with special oil absorbing and skin softening properties.